Indian Arrival Day is a holiday celebrated in some Caribbean countries and Mauritius. 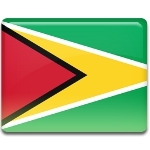 All countries holds celebrations on various days, in Guyana the holiday is observed on May 5. Countries that celebrate Indian Arrival Day are former British colonies. British colonial authorities brought people from the Indian subcontinent as indentured labor, therefore in many Caribbean countries a large portion of the population is comprised of the descendants of the Indian workers. The territory of what is now Guyana was formally ceded to Britain in 1814. When slavery was abolished, British authorities began to bring indentured workers from India to work on sugar cane plantations. Such workers signed on for a certain number of years and worked for a poor payment. Many of them did not return to India when their contract was over and chose to stay in Guyana. The first group of Indian laborers arrived in Guyana on May 5, 1838. Between 1838 and 1917, almost 240,000 indentured Indian immigrants came to Guyana. Their descendants (referred to as Indo-Guyanese or East Indian) today comprise about 44% of the country's population. Indian Arrival Day was created to celebrate Guyana's largest ethnic group.